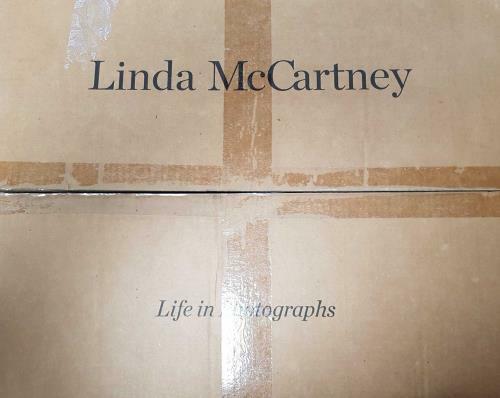 LINDA MCCARTNEY Linda McCartney: Life in Photographs - Artist's Proof Edition (Produced in close collaboration with her family, Linda McCartney: Life in Photographs gathers some of the finest pictures from McCartney�s astonishing archive of over 200,000 images. 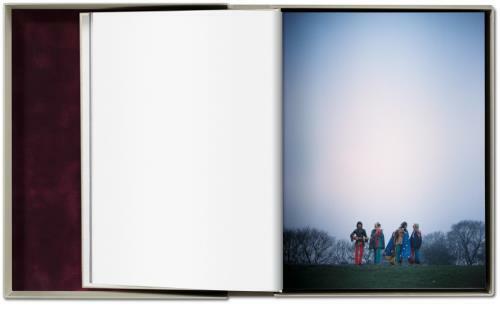 From the epicenter of 1960s rock to rural bliss with her husband and kids, McCartney�s lens captured fame, family, music, animals, and the English countryside with tender precision and love, with forewords by Paul, Stella, and Mary McCartney. 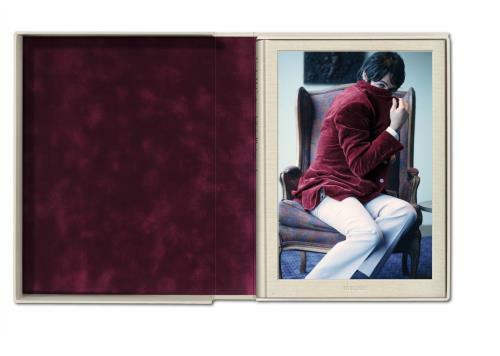 This superb & highly regarded 268-page TASCHEN publication has long since sold out in all editions; this example is an Artist's Proof numbered 91 of 200, signed inside by Paul McCartney and still sealed in its original shrink. Housed within a clamshell box measuring approximately 14" x 19" in size, complete with its original numbered outer cardboard box - truly magnificent!). 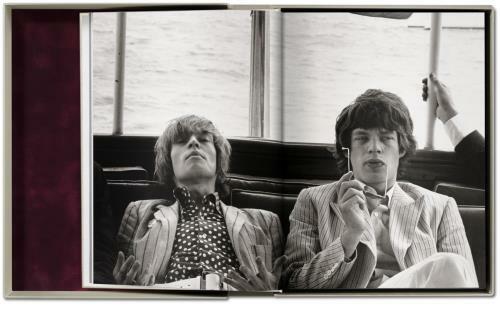 Tracklisting / Additional Info: In 1966, during a brief stint as a receptionist for Town and Country magazine, Linda Eastman snagged a press pass to a very exclusive promotional event for the Rolling Stones aboard a yacht on the Hudson River; her fresh, candid photographs of the band were far superior to the formal shots made by the band�s official photographer, and she was instantly on the way to making a name for herself as a top rock �n� roll photographer. In May 1968, with her portrait of Eric Clapton, she entered the record books as the first female photographer to have her work featured on the cover of Rolling Stone. During her tenure as the leading photographer of the late 1960s musical scene, Eastman captured many of rock�s most important musicians on film, including Aretha Franklin, Jimi Hendrix, Bob Dylan, Janis Joplin, Simon & Garfunkel, the Who, the Doors, and the Grateful Dead. In 1967, she went to London to document the �Swinging Sixties,� where she met Paul McCartney at the Bag �O Nails club and subsequently photographed the Beatles during a launch event for the Sgt. Pepper�s Lonely Hearts Club Band album. 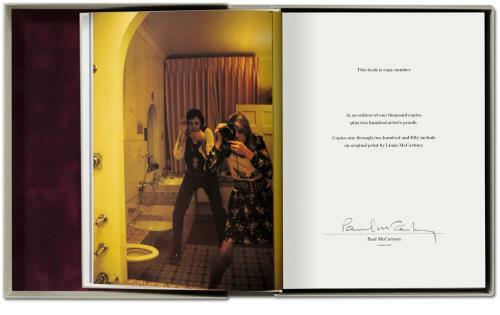 Paul and Linda fell in love, and were married on March 12, 1969. For the next three decades, until her untimely death, she devoted herself to her family, vegetarianism, animal rights, and photography. From her early rock �n� roll portraits, through the final years of the Beatles, to touring with Wings and raising four children with Paul, Linda captured her whole world on film. Her shots range from spontaneous family pictures to studio sessions with Stevie Wonder and Michael Jackson, as well as artists Willem de Kooning and Gilbert and George. Always unassuming and fresh, her work displays a warmth and a feeling for the precise moment that captures the essence of any subject. Linda McCartney (n�e Eastman) was born in New York in 1941. She took a photo course with Hazel Archer and studied art history at the University of Arizona before settling in New York City, where she began her photo career shooting rock portraits. 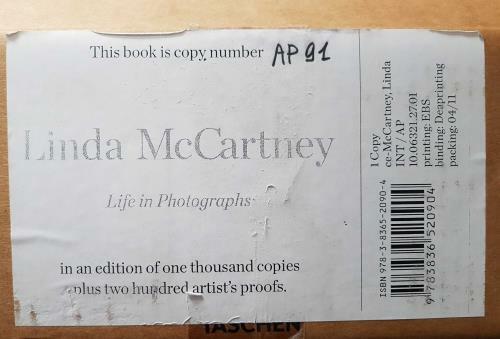 Outside of her photography, which has been exhibited in over 50 galleries worldwide including the Victoria and Albert Museum, London, the National Portrait Gallery, London, the Bonni Benrubi Gallery, New York, and the International Center of Photography, New York, Linda McCartney is known for her passionate animal rights activism and her staunch vegetarianism. She wrote cookbooks and founded her own brand of frozen vegetarian meals, all the while raising a family, continuing to take photographs, and participating as a Wings band member alongside Paul McCartney. She died in 1998 at the age of 56. Annie Leibovitz�s body of work encompasses some of the most well-known portraits of our time. Leibovitz began her career as a photojournalist for Rolling Stone in 1970 while she was still a student at the San Francisco Art Institute. In 1983, when she joined the staff of the revived Vanity Fair, she was established as the foremost rock music photographer and an astute documentarian of the social landscape. 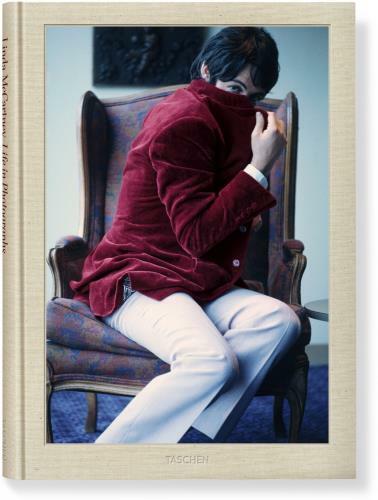 At Vanity Fair, and later at Vogue, her work with actors, directors, writers, musicians, athletes, and political and business figures, as well as her fashion photographs, expanded her collective portrait of contemporary life. Leibovitz has published several books and has exhibited widely. She is a Commandeur in the French government�s Ordre des Arts et des Lettres and has been designated a Living Legend by the Library of Congress. Martin Harrison is a historian of art and photography and an exhibition curator. 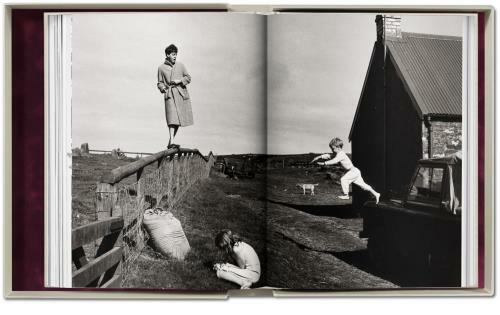 He worked with Linda McCartney on Roadworks (1996), Light from Within (2001), and her exhibitions at the National Museum of Photography, Film and Television in Bradford and the International Center of Photography in New York. 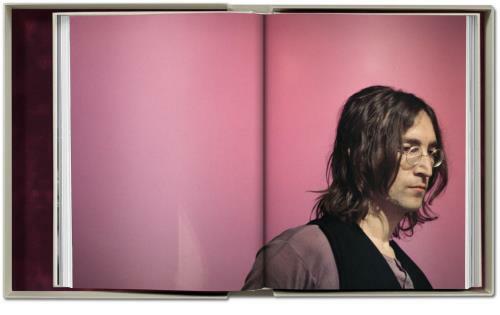 He has published widely on photography and, most recently, on the paintings of Francis Bacon. 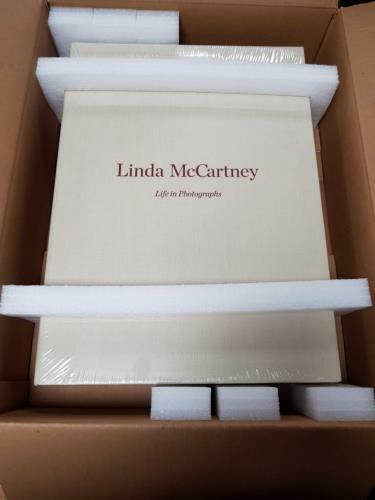 or visit our Linda McCartney image gallery.